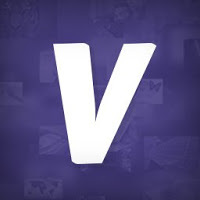 Videezy – Free Video Clips for Multimedia Projects – TC Net-Works, Inc.
Last week I shared a video overview of three great places to find free video clips to use in classroom projects. Videezy is another good site to add to that list. Videezy offers more than 1,000 video clips that you can download for free. The videos are organized into twelve categories. Within each category you’ll find subcategories that make it easy to find the perfect video clip for your project. Videezy does require you credit them for any other their video clips that you use unless you purchase a license to reuse the videos. Videezy could be a good option for students who need some short clips to include in larger video projects like school newscasts or mini-documentaries. Learn more about student video projects in my upcoming course, Video Projects for Every Classroom. if you see it elsewhere, it has been used without permission. Vacation Project – Build the Coolest Machine Ever! Copyright © TC Net-Works, Inc.